It’s lucky episode 13, and we have something different for you! Anna and Liam were at school when I picked up my friends’ kids from their school, so we decided to record a podcast without them. 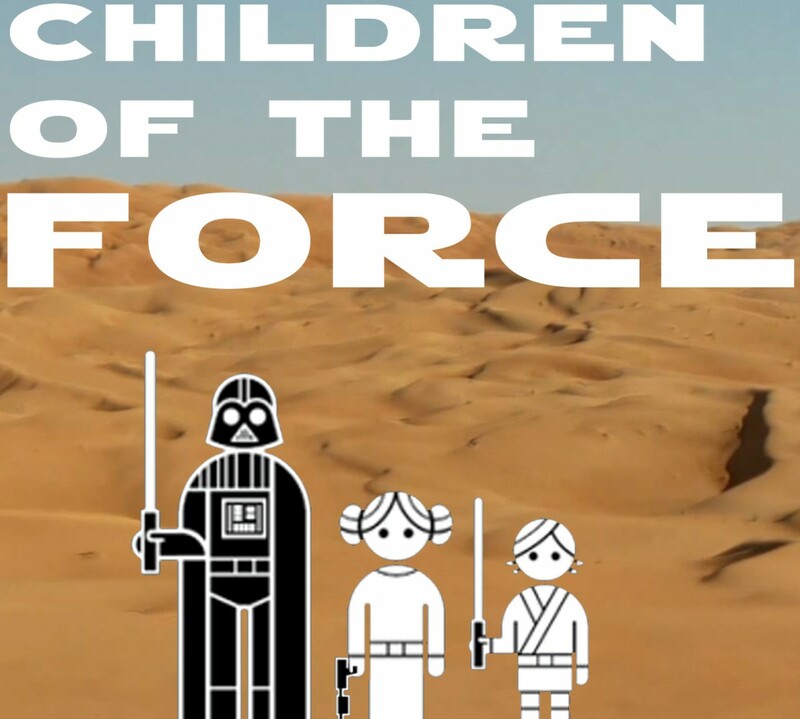 Ella, Greta and Nils bring their own personal take on Star Wars to Children of the Force this week, and it’s a great time. 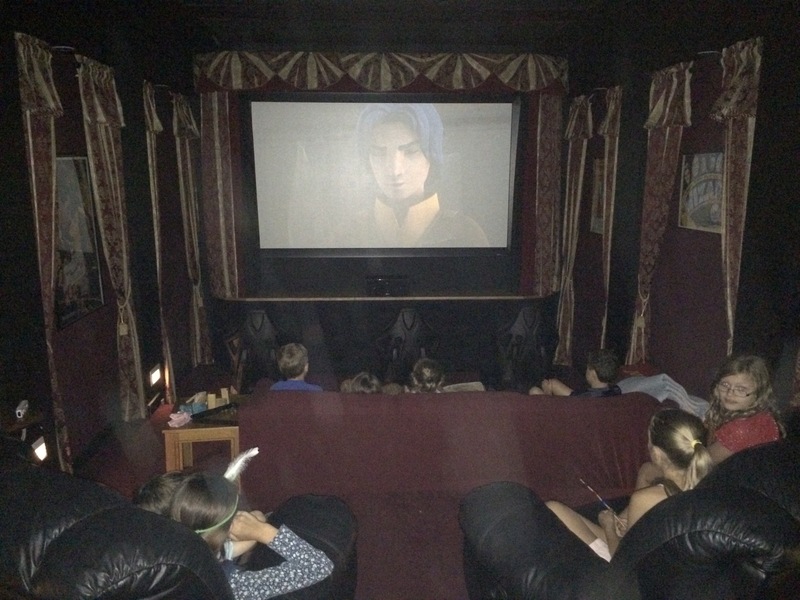 Over the Labor Day weekend, Ella, Greta and Nils watched all of season 1 of Rebels with Anna, Liam and the other friends we get together with during what we like to call USfest. Force Friday has come and gone and now Star Wars is EVERYWHERE. But check out these awesome pillow cases that WEREN’T bought at a store, but were instead hand made and given to us by the Ella, Greta and Nils’ family. 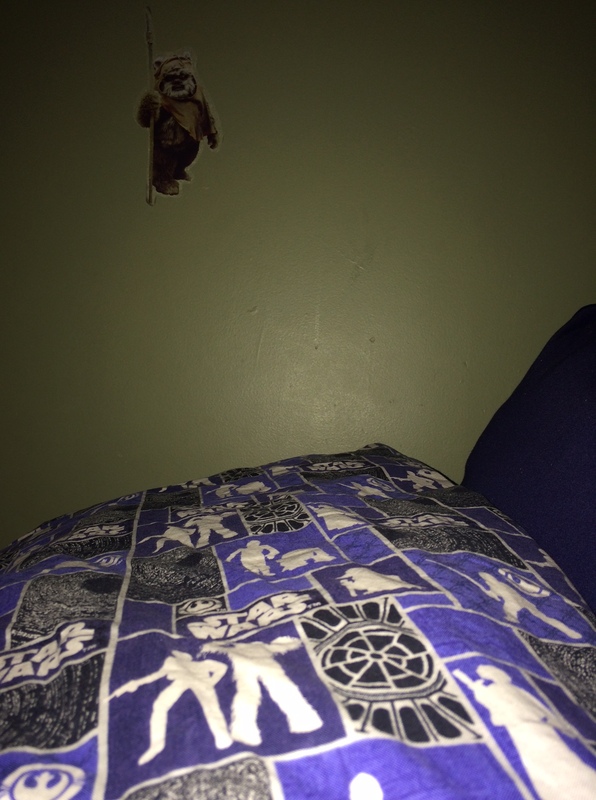 And yes, that’s a sticker of Wicket by Anna’s bed. If that lightsaber could talk…. Some countries will be screening The Force Awakens before it’s screened here in the United States. Which means we’ll be maintaining radio silence here at the Children of the Force starting on December 15th or so. First, an explanation of what we mean by “canon news” for the new kids. And our canon news for this episode comes to us from Moving Target by Cecil Castellucci and Jason Fry. What is Princess Leia’s title during the sequel era (or at least around the time of The Force Awakens)? What did Darth Vader say to Luke Skywalker when he needed help? Ella, Greta and Nils tell me about Jeffrey Brown’s Jedi Academy series. Then I go off on a tangent about speciesism in Star Wars. And then Greta makes an awesome connection to Ahsoka’s and Anakin’s response to Rotta the Hutt in The Clone Wars movie. These kids…. Ella: If you could create a droid, what would it look like and what would it do? Greta: If you could choose one Star Wars character to be your bodyguard, who would you choose? Nils: If you could have any ship in Star Wars (based mostly on the amount of living space and food it can carry), what ship would it be? Al: Which was your favorite episode of season 1 of Rebels? And somewhere in there we start talking about the Empire / First Order (which I repeatedly, mistakenly refer to as the “New Order”) and the Rebels / Resistance.